For those who have watched ‘Beyond The Wall’, there are a multitude of Game of Thrones related questions that have arisen. Most of them relate to the increasingly questionable timelines of how the heck people are getting around so quickly, but some of them are looking forward at what’s going to happen next. 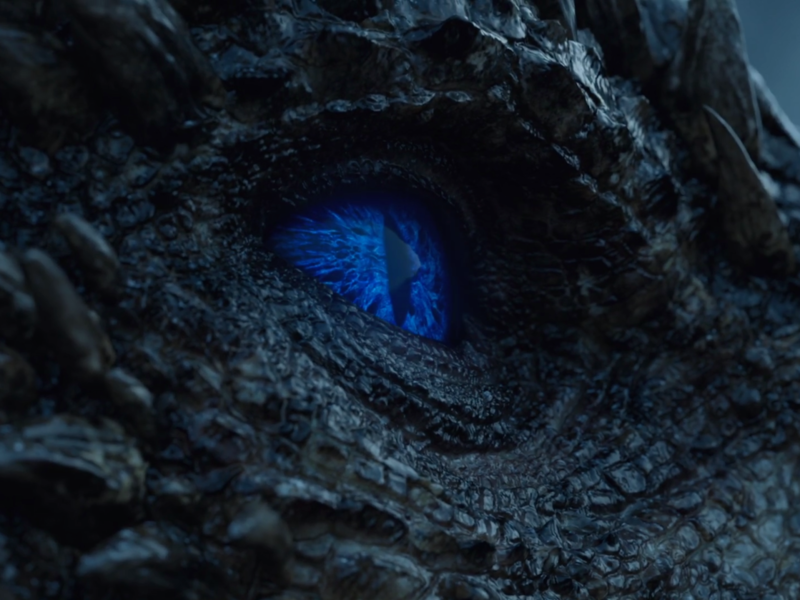 Some will even be asking what the hell is going to happen now Viserion is all blue-eyed and bad and stuff. Surely he won’t be breathing fire anymore, considering the White Walkers like life on the chilly side? So what can we expect to see from Viserion in his undead state? It’s not entirely certain, but we can draw from various sources to make a pretty good guess. 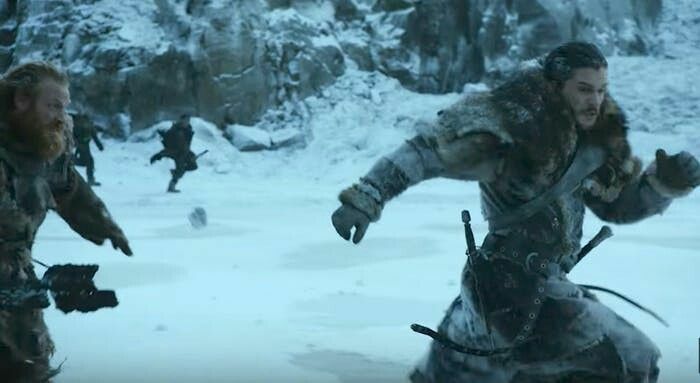 It’s safe to assume that The Night King will use the ‘Ice’ Dragon to get through The Wall and into Westeros, but it’s not clear how it will look in battle. Well, let’s look at the best source of information we have for any Game of Thrones information – the books. Specifically, The Ice Dragon, which was written even before A Song of Ice and Fire. Its eyes were clear and deep and icy. And when the ice dragon opened its great mouth, and exhaled, it was not fire that came streaming out, the burning sulfurous stink of lesser dragons. The ice dragon breathed cold. Ice formed when it breathed. Warmth fled. Fires guttered and went out, shriven by the chill. Trees froze through to their slow secret souls, and their limbs turned brittle and cracked from their own weight. Animals turned blue and whimpered and died, their eyes bulging and their skin covered over with frost. 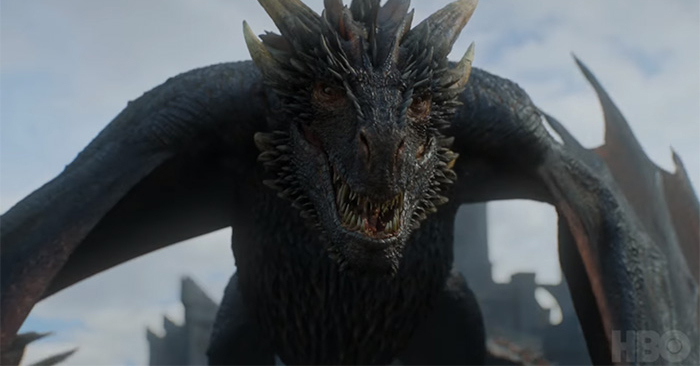 Sounds absolutely awesome, but let’s make a little caveat, Viserion isn’t actually an Ice Dragon per se, but more of a zombie dragon or wight dragon. But still, the icy breath is a really cool (get it?) idea. There’s also some info in A World of Ice and Fire, the encyclopedia of all things Game of Thrones. Of all the queer and fabulous denizens of the Shivering Sea, however, the greatest are the ice dragons. Whereas common dragons (if any dragon can truly be said to be common) breathe flame, ice dragons supposedly breathe cold, a chill so terrible that it can freeze a man solid in half a heartbeat. 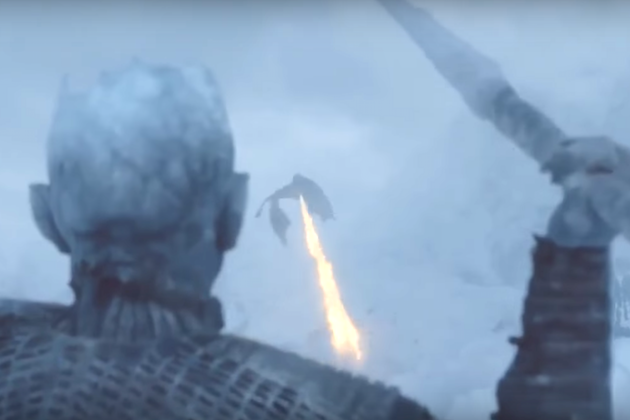 It seems pretty obvious show creators Weiss and Benioff will take inspiration from these sources, and it’ll be a really strong visual counterpoint to Drogon and Rhaegal – if Viserion blows out ultra-cold blue fire. If it was possible, this makes the excitement level for next week’s finale even higher!